We thought the story of the ticket-generating ghost Jaguar had been resolved months ago. But like much of the news of 2018, it refused to be wrapped up with a bow. I don’t know about you, but for Philip Corsano, the year 2018 is ending just as it began. Maddeningly. You probably don’t remember Corsano. I barely did when he re-contacted me this fall. 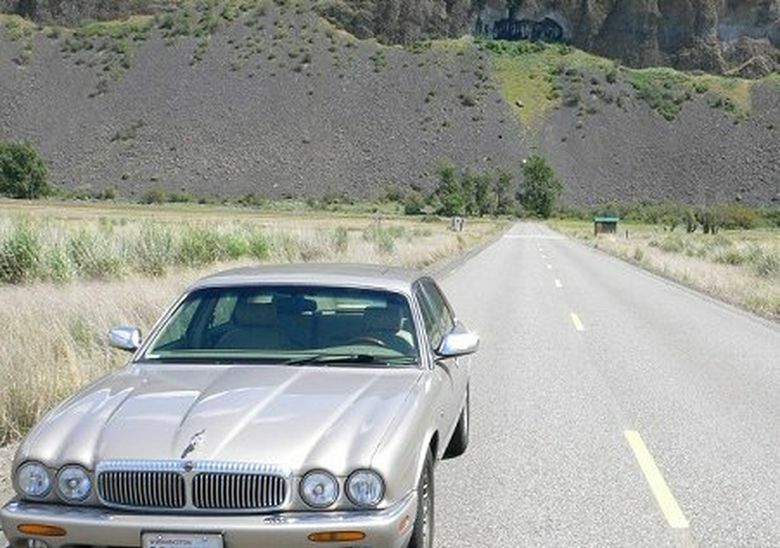 Right at the start of 2018 I had written about a bureaucratic nightmare he was trapped in that involved a “ghost” Jaguar, his car that had been towed from in front of his Green Lake home and auctioned off while he was working overseas as a ship’s mate. The story was that despite that sale, Corsano continued to receive tickets and toll bills racked up by his long lost Jag. “My car is haunting me from beyond,” he said. It was a small story of the kind we love in the news business — not least because it all got resolved the next day when City Hall read the column, redirected $500 worth of tickets to the new owner and apologized to Corsano. “Sense makes a little comeback,” I blithely summed up last January. By now you’ve probably guessed that no, it didn’t. It turns out Corsano’s story — kind of like the year it bookended — would refuse to be wrapped up with a bow. Because the ghost haunts on. The tickets didn’t stop. Whoever is driving it still hasn’t registered it with the state and was tagged with six more tickets for expired plates this fall, totaling $432. And also some tickets from private lots, totaling another $219. At first the bills were again sent to Corsano — even though he hasn’t owned the Jag for 18 months, though he long ago filed a change in title form with the state, and though he now lives in … Italy. The good news is that the Seattle court, when finally reached by Corsano, again has relieved him of responsibility for the tickets (smudging away this haunting for the second time). But tickets from the private lots keep coming. Somehow he’s still on the hook in the state registration system. He can’t get back a car that was taken from him, but he can’t rid himself of it either. Sorry, I wrote to Corsano. We seem to be stuck. Sometimes — often — the news is stubborn like that. “My prediction? This will undoubtedly continue in 2019,” Corsano says. Looking over a year’s worth of stories, a ghost Jag driving in circles generating tickets seems an apt metaphor. The year 2018 was like one of those Escher impossible staircases, in which you walk and walk but can’t even really tell whether you’re going up or down. Prime example: The year started with a federal government shutdown, over immigration. And it’s ending with a federal government shutdown … over immigration. Or take the stock market. On the third trading day of 2018, the president tweeted: “Dow just crashes through 25,000. Congrats!” Only it would crash through 25,000 seventeen more times — eight heading up, and, sadly, nine going down. Not much was decisively advanced, from the somewhat split election to the always-just-out-of-reach Mueller investigation to our inability to do a thing about climate change. This being 2018, even Amazon’s self-branded quest for “HQ2” ended up not finding one. Or take homelessness. Last week Seattle and King County made front page news by announcing a plan to coordinate responses to our area’s biggest crisis. That is great news. But I hold here a news release, dated Jan. 19, 2018 — so 11 months earlier — titled “Regional leaders come together to craft community plan to prevent homelessness.” If any 2018 story feels like Escher’s infinity staircase, this is it. Not everything went in circles of course. The AP picked the demise of the death penalty as the biggest story for our state. That was big, and decades in the making. But it surely won in part because it was one of the few news stories of 2018 in which the needle definitively moved, one way or the other. Not everything that went nowhere was necessarily bad, though. Looking over my own columns, I was reminded that last summer I wrote about a new Seattle high-rise apartment renting for an otherworldly $19,265 per month. The glittery price point marked Seattle’s “Manhattan moment,” a luxury realtor told me. Well I checked back, and guess what? No one has rented that apartment, according to the building’s website. So maybe it’s true, like Corsano’s ghost, that we didn’t go much of anywhere in 2018. But at least we’re not Manhattan yet.